Don Romano is President and Chief Executive Officer of Hyundai Auto Canada Corp. He joined Hyundai in December 2013. Since taking the helm of Hyundai Canada, Don has been steadily transforming Hyundai into a premium brand through the successful launch of industry leading products, expansion and redesigning of the Hyundai retail facilities, effective implementation of more customer centric service processes and certification programs, and the modernization of the retail buying experience through industry leading online processes like Hyundai Buy Right. In addition to managing the success of Hyundai, Don has been focused on the development and launch of Canada’s fastest growing luxury car brand Genesis. Genesis represents an entirely new, unique retail model, and a first for Hyundai globally, which allows customers to buy a Genesis, hassle free, online direct from the manufacturer with delivery direct to their home or office. Don was also instrumental in launching the first fuel cell vehicle for retail sale in Canada and continues to promote the expansion of zero emissions vehicles and infrastructure throughout the country. 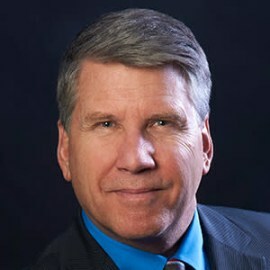 Don began his career in 1985 with Nissan Motor Corporation, where he held a number of key sales and marketing positions for both the Nissan and Infiniti brands. In 2000, he left Nissan to join Mazda Motor Corporation where he supported the development and execution of the award winning Zoom Zoom campaign. In 2006, he was promoted to President of Mazda Canada while maintaining his responsibilities as Chief Marketing Officer for Mazda North America. During this time he oversaw Mazda’s recording setting growth in Canada while leading Mazda’s marketing activities across North America including oversight for the company’s brand development and business planning. He also supported Mazda’s headquarters in Japan with their global brand integration activities. In 2012, Don became the Senior Managing Director and Chief Marketing Officer for Toyota in the Middle East during which Toyota achieved an unprecedented 50 percent share of the automotive market. At the same time, Don served on Toyota’s global brand council in Japan. Don holds a Bachelor of Science in Business Administration from California State University and an M.B.A. from Pepperdine University.